J.B. Hunt's refrigerated service provides a wide array of temperature-controlled solutions, including truckload, intermodal, and refrigerated LTL, all tailored to your specific needs. 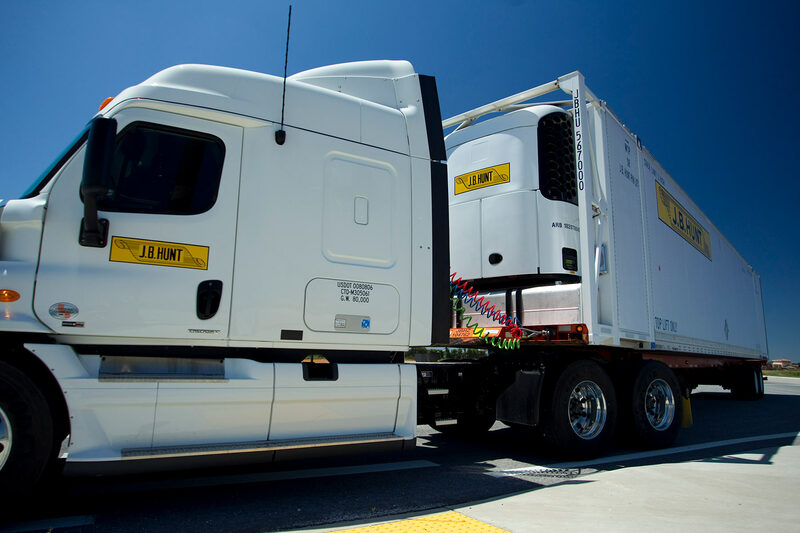 J.B. Hunt has an extensive network of 4,000+ company-owned trailing units operated by company drivers and 16,000+ contracted refrigerated carriers. Carriers are properly vetted and drivers are trained to ensure quality service and compliance with regulations. Refrigerated helps customers keep paint from freezing, maintain food freshness, and everything in-between.